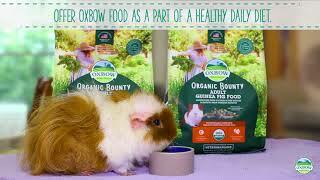 Transitioning Foods: Week One, mix ¼ new food with ¾ current food. 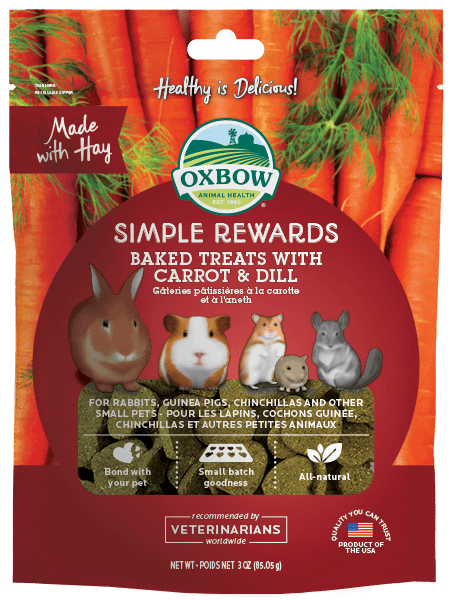 Week Two, mix ½ new food with ½ current food. 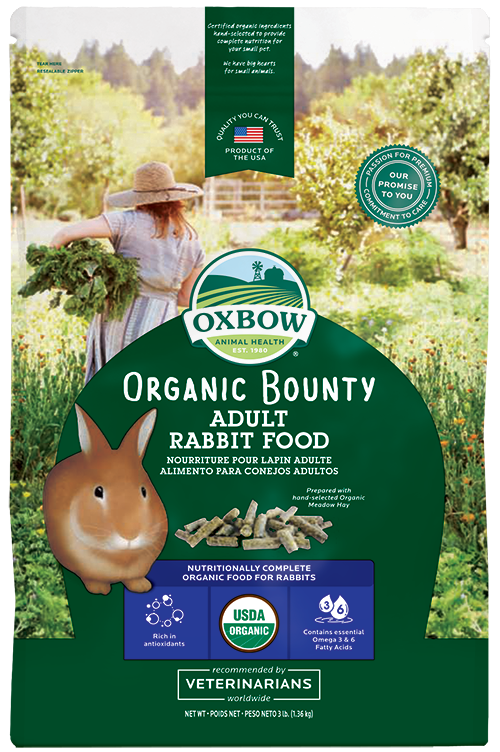 Week Three, mix ¾ new food with ¼ current food. 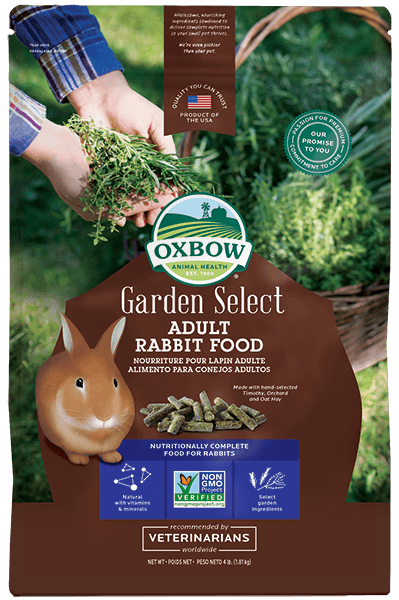 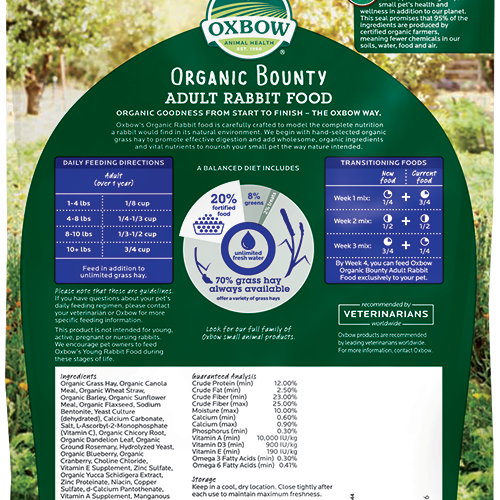 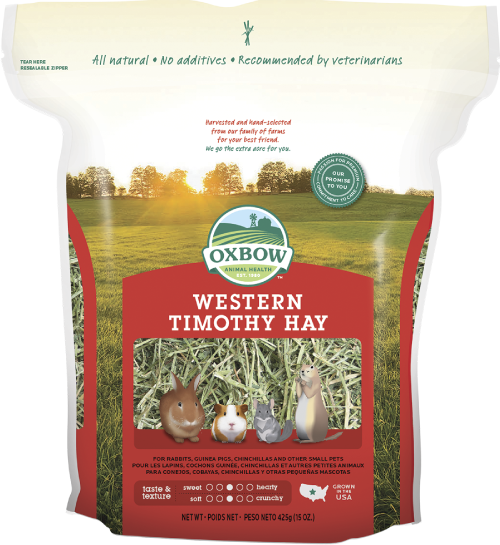 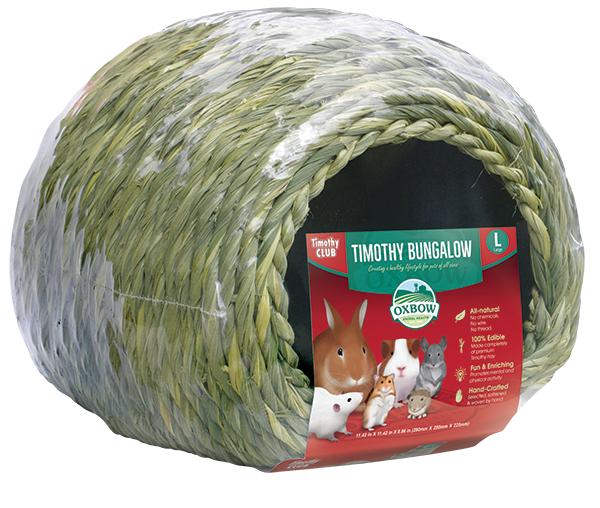 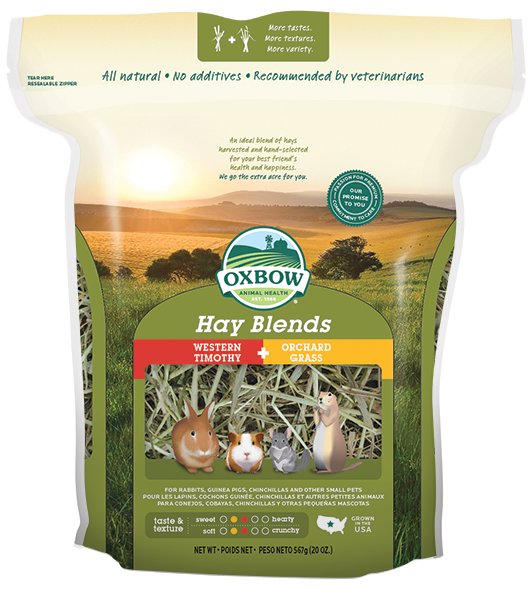 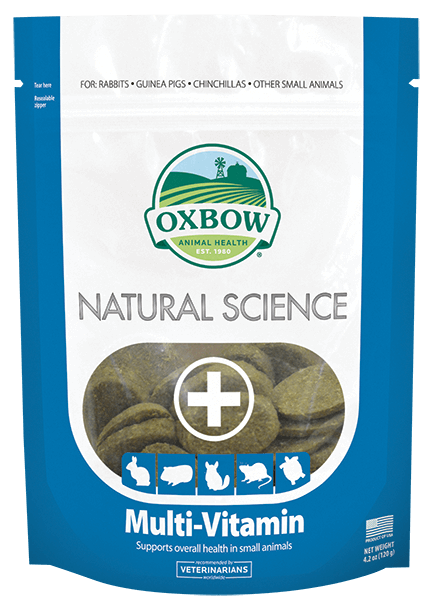 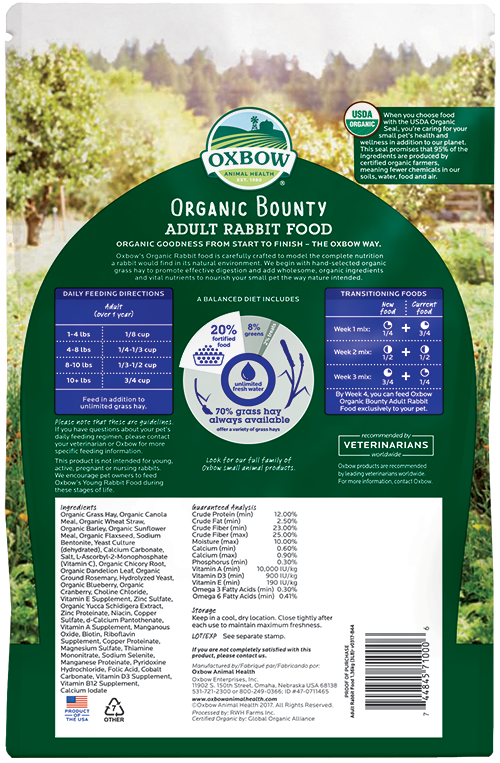 By Week Four, you can feed Organic Bounty Adult Rabbit Food exclusively to your pet.